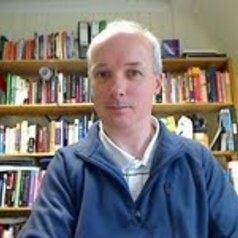 Ray Corrigan is a Senior Lecturer in Technology and author of 'Digital Decision Making: Back to the Future', published by Springer-Verlag in 2007. He wrote the OU's 'Law, the Internet and Society: Technology and the Future of Ideas' course, now available openly on OpenLearn, as well as a variety of other materials on the environment and information and communications technologies. Ray dabbles in the use of the Internet and digital technologies in education, having been at the front line of the OU’s industrial-scale deployment of e-learning for many years. Research interests include interacting developments in law and technology and their wider effects on society.